Catey oversees asset management for PEBB’s growing, nationwide portfolio and manages PEBB’s in house property management division. 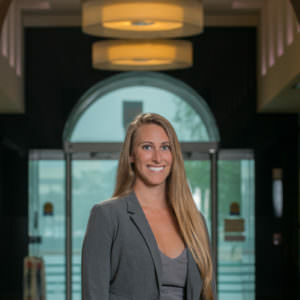 She leads a strong team of property managers that work closely with the leasing team to maximize efforts as owned assets are repositioned and redeveloped. Prior to joining PEBB, Catey was the Assistant Vice President of REO Asset Management at Torchlight Loan Services where she oversaw a nationwide portfolio of over 3 million square feet. Catey also held leadership positions at Florida Community Bank and the Stiles Corporation. Catey received both her Bachelor of Science in Finance and her Master of Science in Real Estate from the University of Florida. Catey is a Licensed Real Estate Salesperson and is a member of the International Council of Shopping Centers (ICSC), Urban Land Institute (ULI), Commercial Real Estate Women’s Network, University of Florida Bergstrom Council, and volunteers with Habitat for Humanity.